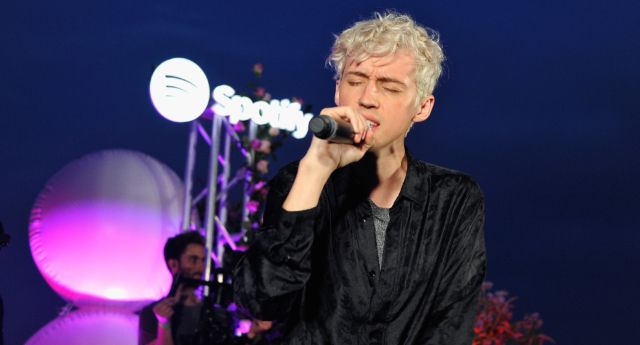 Singer Troye Sivan has highlighted the lack of openly LGBT+ music artists in a recent interview. The My My My! singer acknowledged the increase of openly LGBT+ musicians, but said that there is still no queer equivalent of Beyoncé, Rihanna, or Taylor Swift. “I think we’re in a really interesting time in music right now where we are seeing more and more queer artists pop up, but we don’t have a queer Taylor Swift, we don’t have a queer Rihanna, or a queer Beyoncé,” he said, speaking on an episode of Will Young and Chris Sweeney’s Homo Sapiens podcast, released on January 24. “Maybe the music just isn’t good enough, maybe the world is obsessed with hip hop right now and I’m making the furthest thing from hip hop,” he said. Does Troye Sivan have a new boyfriend? Sivan took to Instagram to post about his new track on Saturday (January 26). “Catch me and my new bf @lauvsongs performing our new SMASH ‘i’m so tired’ on @jimmykimmellive feb 6th,” Sivan wrote. The 23-year-old singer posted a photo of him linking arms with Lauv, who is aged 24. Sivan was in a relationship with model Jacob Bixenman since 2016, and the pair were living with each other. Neither Sivan or Bixenman has posted to confirm their current relationship status. The two haven’t posted about each other for more than a month on social media.